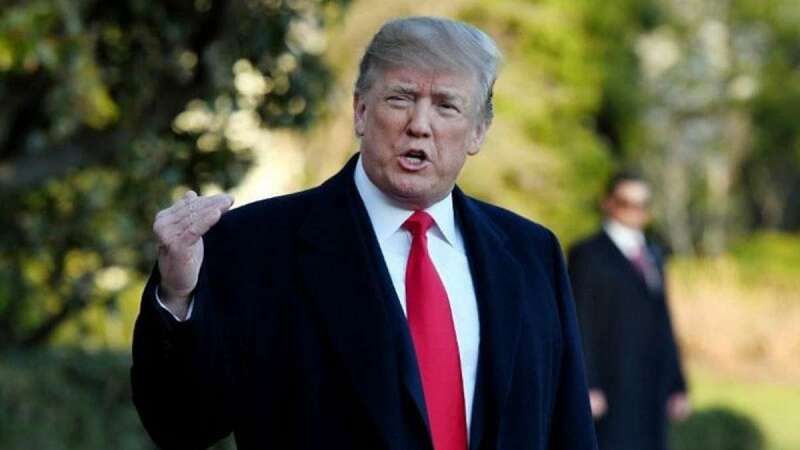 Washington : Forty-six per cent Americans think that President Donald Trump will win a second term in office, according to a new CNN poll. The poll released on Sunday shows that people were split over whether they thought the President will win a second term with 47 per cent saying he won't. But that's a steep improvement for him since March, when 54 per cent of adults said they thought he would lose his bid for a second term, the CNN poll said. The increase is a bit sharper among men (up 8 points), independents (from 39 per cent in March to 47 per cent now) and those who are enthusiastic about voting in this year's midterms (from 37 per cent in March to 46 per cent now). In the race for the Democratic nomination to face Trump, former Vice President Joe Biden leads a massive potential field. The poll asked Democrats and Democratic-leaning independents to choose their preferred presidential nominee among 16 possible candidates. Biden topped the list with 33 per cent support, followed by independent Senator Bernie Sanders of Vermont, the 2016 runner-up, at 13 per cent. Indian-origin Senator Kamala Harris followed at 9 per cent and Senator Elizabeth Warren at 8 per cent. The CNN poll was conducted between October 4 to 7 among a random national sample of 1,009 adults reached on landlines or cellphones by a live interviewer.